Screenwriting is a meticulous craft involving the use of all five senses to create compelling stories on the big screen. To hone their scriptwriting skills, existing and aspiring writers make the most of online educational resources. Many writers are simply unaware of the valuable writing resources available on the web. Not everyone has access to Hollywood bigwigs and helpful ‘middlemen’ to link them to producers and if you’re like most writers, you need every break you can get. Smart writers are leveraging the power of these online screenwriting resources to help them save time in creating and promoting their scripts. Screenwriting – like any art – is a learning process that enriches writers and allows them to churn out better scripts over time. With this in mind, Eric Edson and his team of screenwriters scoured the web this month to identify three valuable websites that help writers with their screenwriting aspirations in a real and meaningful way. MovieBytes is to screenplay writing competitions what SimplyHired is for job hunters – a one-stop destination for writers eager to enter potentially rewarding competitions. It has an extensive database of contests, film producers and literary agencies. MovieBytes is a place where contest creators and participants congregate. With over 21,000 registered users, it is an excellent platform for screenwriters to access news about the latest contests. 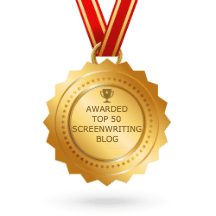 The good news is there are hundreds of creative screenwriting competitions across genres that budding writers can leverage to get their foot into the industry. Individuals are sure to find details of all the latest and upcoming contests on MovieBytes. For easy and quick communication, the contests directory is sub-divided into various categories, such as those exclusively for television scripts, students, adapted material and more. For anyone seeking an opportunity to have their winning script made into a movie or take full advantage of a festival contest, MovieBytes is the place to be. A highlight of the site is that it publishes a free email newsletter containing contests reminders and deadlines, articles, news and more. All individuals need to do is sign up with the site; this also gives them access to MovieBytes’ bulletin board. As a member, writers can make the most of its many useful features, including user feedback on contests and a message board that allows convenient interaction with MovieBytes’ large writer community. Writers have the opportunity to get their queries answered, get recommendations and ideas, and even request comments or opinions. MovieBytes is a complete and inclusive online resource for screenwriting competitions. It offers a sneak peak into contests so writers can make informed decisions about participating in them. Interviews with contest winners are both inspirational and enlightening. The site also features a really helpful survival guide for screenwriters, which offers insights into the craft and the profession. Interested individuals can call in, write to the website, or visit the Facebook page. Since 2000, InkTip has become a sought-after online destination for screenwriters seeking to sell their scripts, get hired, get represented or get their scripts reviewed. 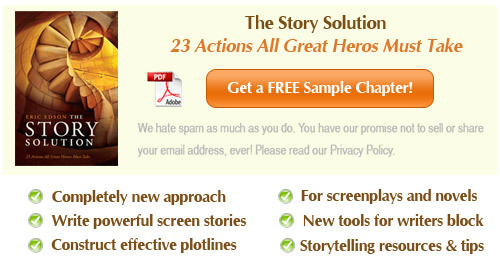 The site was born out of the need to link talented screenwriters with producers and agents. So far, over 140 scripts submitted through InkTip have been made into movies. InkTip offers free and premium services to aspiring screenplay writers. With the free (standard) service, writers receive newsletters featuring articles, contest and festival details, special offers and more. The site has three paid options, which offer entertainment professionals access to scripts, and get members protected calls or leads for scripts from production companies. InkTip also offers attractive discounts for the premium solutions. The paid service is a good way to grab the attention of producers, directors and representatives. Members will get updates on who is downloading their treatment, synopsis ad, or full scripts. This can help them assess the kind of interest and/or excitement their synopsis/logline is generating, and enable them to make calculated calls. As a paid member, a writer can submit their pitches and loglines to InkTip Magazine, which is read by almost 4,500 production agencies, managers and companies. This is an easy and effective way to announce their name and present their talent before the right people. InkTip has a resource center that is updated with helpful news and information for budding screenwriters. Learn about different screenwriting books, get useful screenwriting tips, and well-rated screenwriter courses and workshops. The site is also home to an articles database that covers different aspects of writing and film-making. For ease of use, this section allows writers to search for articles by keywords, author and title. Aspiring writers can also be introduced to industry bodies and associations, which they can leverage to further their goals. The ‘total deals closed’ section of the site is a window to the scripts that are en route to being made into movies. For more information, interested individuals can contact the InkTip team via website or visit their Facebook page. Contests: Every screenwriter is keen to put his/her script before the people who matter. Competitions are the easiest way to do this. Script Pipeline devotes an entire category to its sponsored scriptwriting contests, complete with success stories of recent competition winners and testimonials from contest participants. The competitions cater to both television and feature film screenplay writers. Winners are reviewed by A-list professionals and companies who know a thing or two about creative screenwriting! Workshops and classes: The site offers paid writers’ workshops, which include script analysis, editing and notes. There is also an exciting option to have loglines reviewed at no charge by one of the site’s experts. 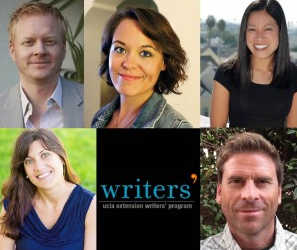 Script Pipeline offers training and mentorship services for television and movie writers. Individuals can choose from multiple packages, with the classes being held over the phone or in-person over a set time period. Writer’s database: A highlight of the site, writer’s database welcomes writers to submit questions to Script Pipeline executives for in-depth feedback. For writers who want to benefit from constructive critique handed down from those who are well-versed with the craft and have boots-on-the-ground industry experience, the database is an excellent place to begin. The site is also home to news and information on the latest screenplay successes. A paid registration at Script Pipeline is money well spent if individuals are committed to take full advantage of all the resources and opportunities offered by the site. Interested writers can contact the website or visit their Facebook page. 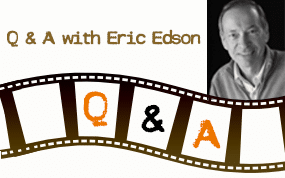 About the author: Eric Edson is the author of the widely acclaimed book on scriptwriting – The Story Solution. He is currently Professor of Screenwriting and Director of the Graduate Program in Screenwriting at California State University at Northridge and has been a member of the Writers Guild of America since 1981. With over 17 feature screenplays under his belt, Eric is committed to helping other writers break into the industry. As an aspiring writer, this review on screenwriting websites is greatly appreciated. It provides reliable and valuable resources that can help writers develop their prowess and reach their ultimate dream of imparting their craft to the mainstream media. This is one of my favorite posts in Eric Edson’s screentwriting blog. I am a would-be screenwriter who has been trying to make some other living here in L.A. to make ends meet while trying to get myself noticed by important agencies and people in the TV and film business. These screenwriting tips can be my ticket to living my dream job. I’m already working on promoting my scripts at these screenwriting resources. This is one of my favorite posts in Eric Edson’s screenwriting blog. This post is truly a practical and comprehensive resource for aspiring screenplay writers. It provides a great opportunity to expand ones writing knowledge and prowess through a cost-effective manner. As in free!